The snow is gone and even though the cold wind still blows, Spring is on the way. 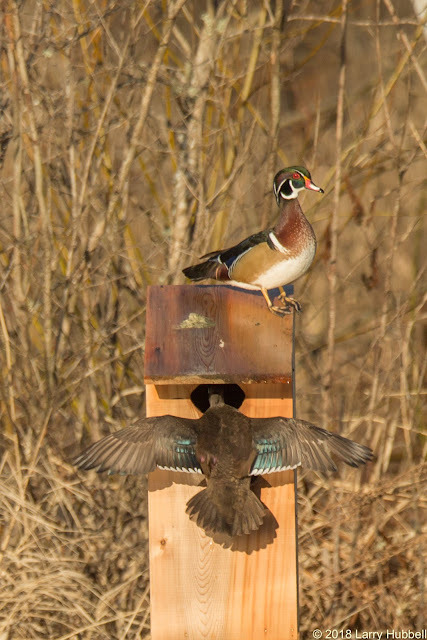 This photo from last year at about this time shows a female Wood Duck checking out one of our new nest boxes. She was obviously looking for a a place to lay her eggs. Her mate was watching carefully. 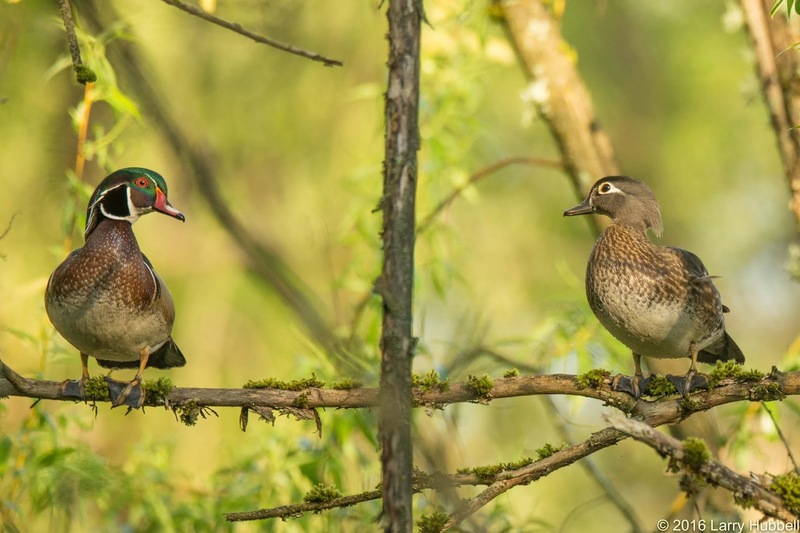 Apparently, he was trying to protect her from the unwanted advances of any other male Wood Ducks. My friend, Martin Muller, suggested this type of behavior is called 'Mate Guarding'. 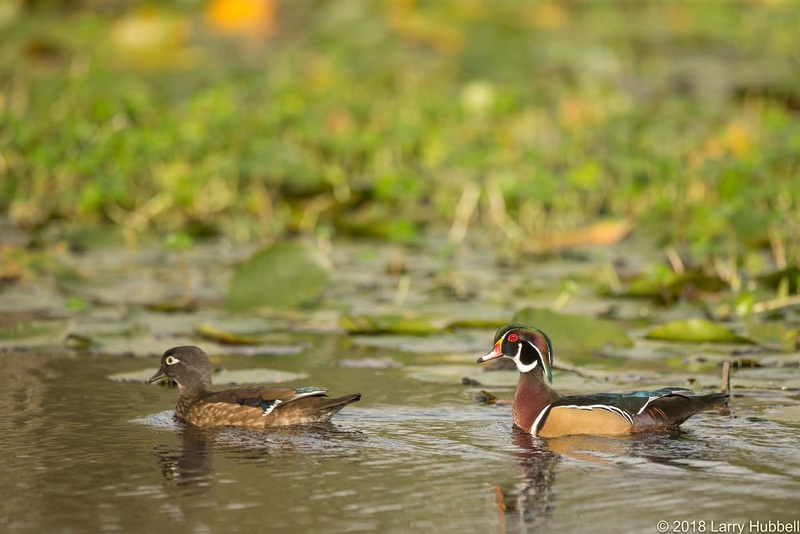 'Tis the season for Wood Duck reproduction. Any day now our team of Union Bay observers will begin watching Wood Ducks. The behaviors we will be looking for include inspecting-nests, egg-laying and mate-guarding. The ultimate dream behavior would be to watch ducklings, within 24 hours of hatching, jump out of a nest box. Ducklings are precocious. They do not wait around. By their second day they are walking, swimming and feeding themselves. The ducklings certainly know how to hit-the-ground-running or more precisely, how to land-on-the-water-feeding. Earlier this month it felt like winter might never end. The first observed nest box inspection (by a female Wood Duck) was on March 5th. The estimated timing of the first egg laid was the first week in April. The estimated beginning of the first incubation was in mid-April. 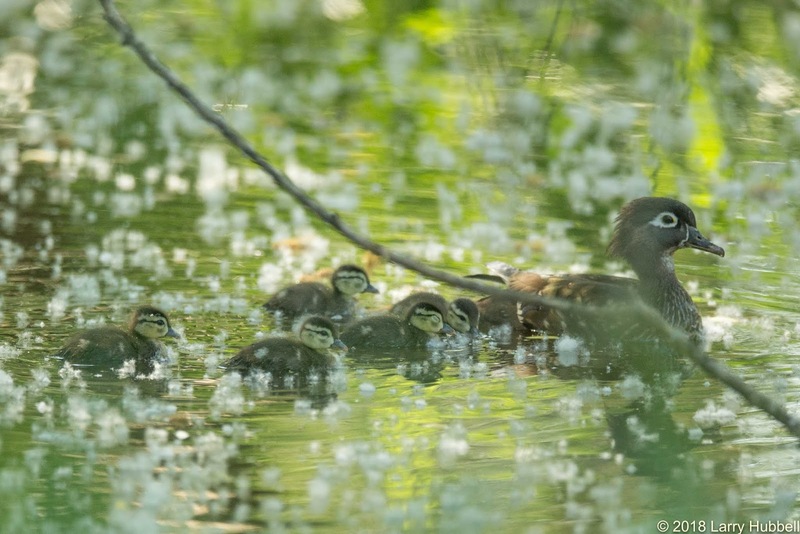 The first ducklings seen were on May 14th. 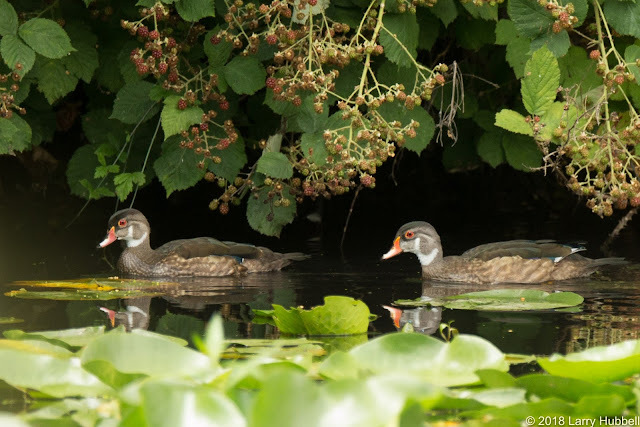 The last, new ducklings seen were on July 11th. We have inspected seven of the ten boxes and found clear indications of egg laying in three of the boxes. 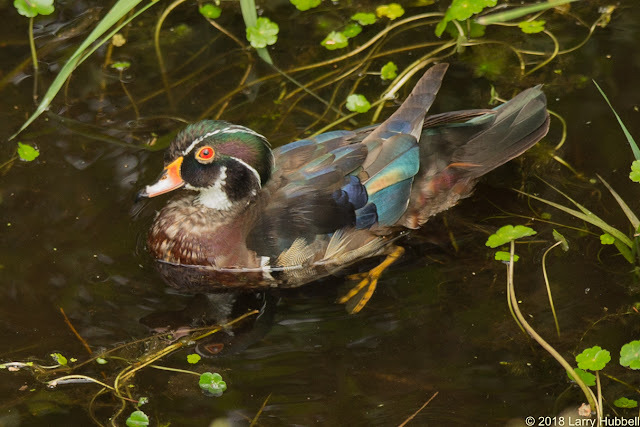 At least three more of the boxes contained one or more feathers which indicated they were probably inspected by a female Wood Duck. The challenge in this week's post is to determine the appropriate season for each of the following four sets of three photos. The bulleted information above provides some clues. Looking closely at the vegetation in the photos may help. Plus, it is good to know that in the Summer, males lose their beautiful breeding plumage. However, they keep their brilliant red eyes, even in their non-breeding, e.g. eclipse, plumage. For advanced credit, you could also try organizing the three photos inside each season by their appropriate month. In the complete set of 12 photos, each month is represented just once. To simplify the process I consider the December, January and February photos to be in the Winter season. March, April and May I categorize as Spring. June, July and August are in the Summer set. Which leaves September, October and November as Fall. Note: The terms, Sets 1, 2, 3 and 4, do not correlate to the natural arrangement of the seasons. Each of these headers, is only a 'bucket' into which I have collected three photos from a single season. Your challenge is to figure out in which season each set of these Wood Duck photos was taken. Good Luck! Beyond this point you will see the photos reorganized by season and month. This is a photo of a female entering a natural cavity in a tree. It was taken at the end of March. The timing means we could debate whether she was inspecting a potential nest site or actually entering a nest to lay an egg. 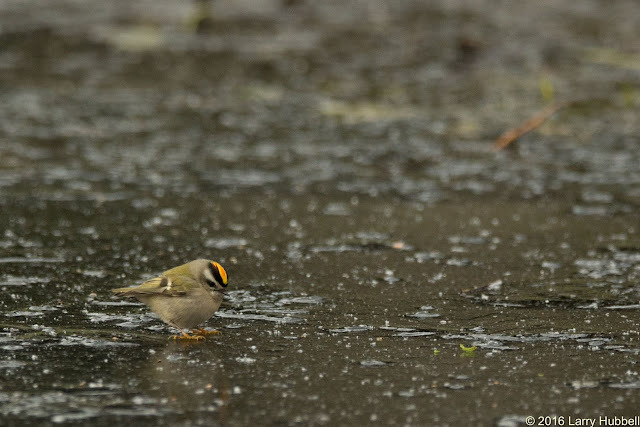 This early April photo shows a male guarding his mate. I have read that during the first ten days of egg-laying the female lays the egg and then leaves the nest - with the male still in attendance. Not until she feels she has a nearly full brood of eggs does she begin incubation. By starting the egg development process at a single point in time, she attempts to insure that all the ducklings will leave the nest on the same day. Once the female starts sitting on the eggs, the male figures his work is done and apparently he feels he had nothing left to protect. The female is on her own. The cottonwood down in this photo obscures the clarity, but since cottonwood trees begin to heavily drop their down in late-May, it is a likely indicator of late Spring. Although, one could argue that early June would be just as likely. That argument is logical, except in the case of this challenge, the other two photos in this set were not Summer time photos. The red eye, plus the red and orange color at the base of the bill, are clear year-round indicators of an adult male. 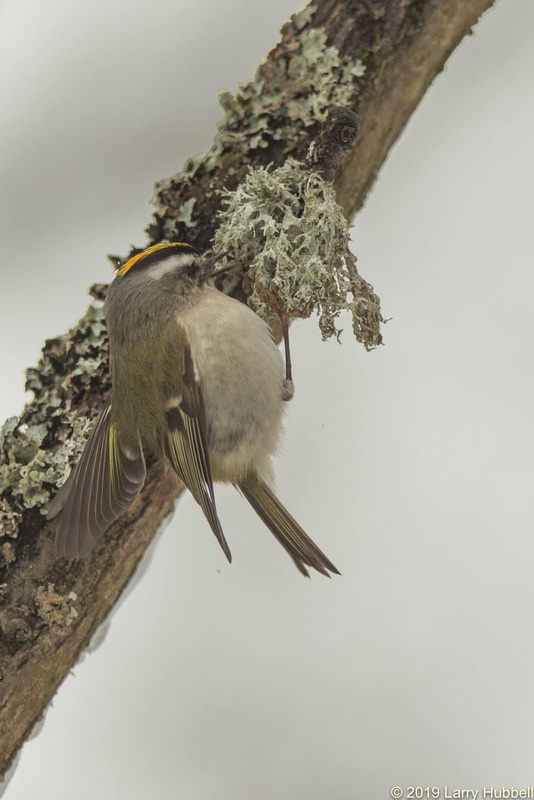 The tattered looking feathers indicate breeding season is over and the male is beginning to replace his feathers with a more feminine-looking, non-breeding plumage, e.g. eclipse plumage. These ducklings are no longer newly hatched, but given that they are still fairly young we have to be in either late-Spring or the earlier half of Summer. The dried yellow leaves in the photo should have helped you think Summer instead of Spring. 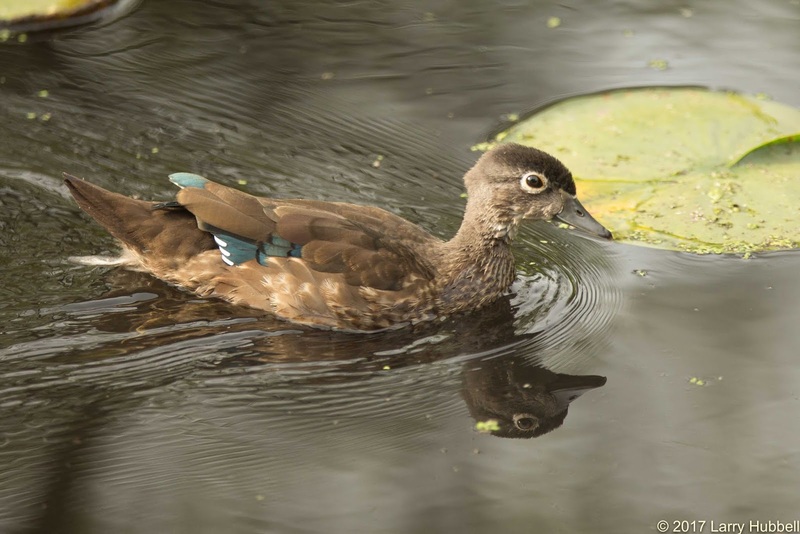 I believe this is a hatch-year Wood Duck because all of the feathers on the head appear to be almost exactly the same length. The white around the eye makes me think it might be a female. 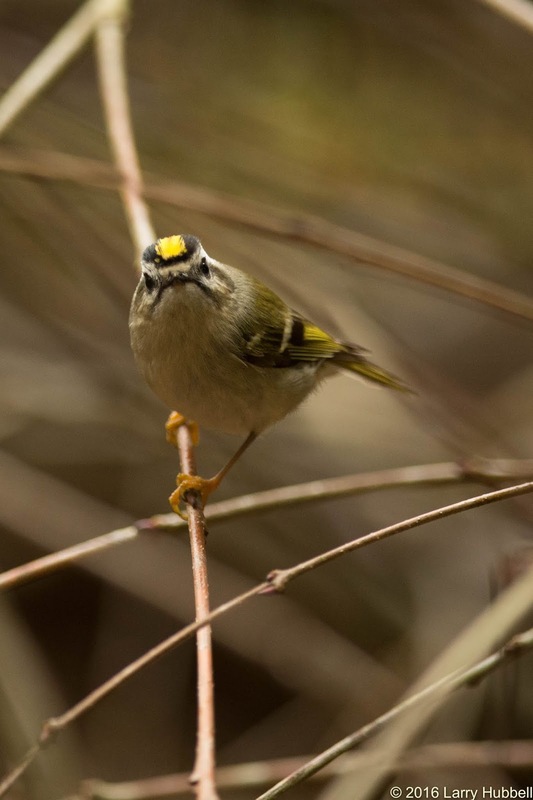 However in August, first-year males typically do not yet have the red eye of an adult male, so the gender of this bird remains unknown. Note: The lily pad in the photo is nice and green, while the duckling is getting close to full-size. Hence, this photo had to be in late Summer of early Fall. After talking so much about eclipse plumage, I decided I better include an example. Here are two mature male Wood Ducks, in eclipse plumage, during the month of August. This photo is full of hints. First, the lily pads are starting to turn yellow so we are no longer in Summer, however, many of the plants are still green so it cannot be too late in the Fall. The adult female is being followed by a first-year bird which is another indicator of early Autumn. Soon, the young bird will get its adult plumage and then go its separate way in life. By the way, did you notice the hint of white 'fingers' on the lower portion of the young duck's face? These white markings are most consistently found on adult males. 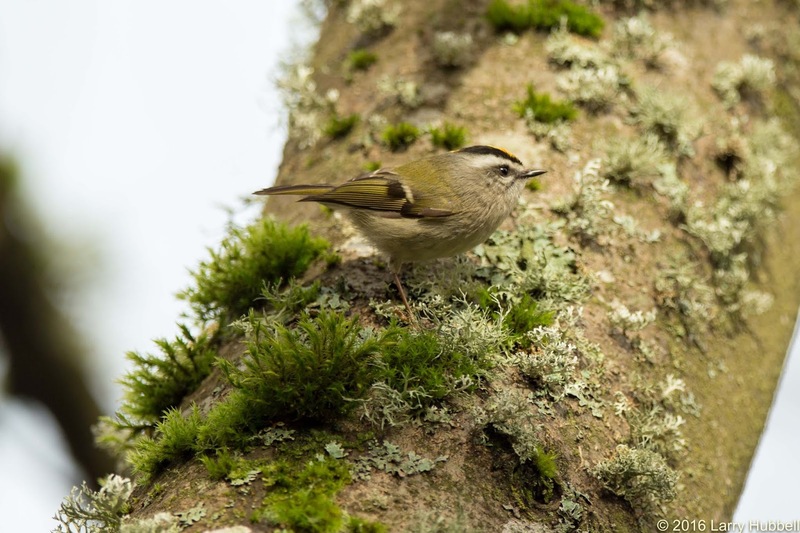 On an obviously young bird, still following its mother around, it seems logical to conclude that the white-fingers probably indicate it is a first-year male, whose eyes have not yet turned red. 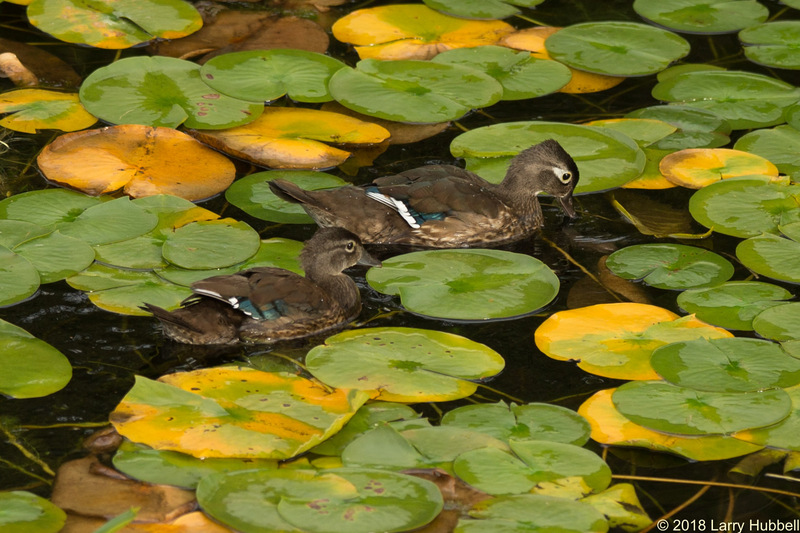 The male is in his bright, freshly-minted breeding plumage while the lily pads are looking a bit sparse. I believe the majority of the plants in the background are a form of wort which reaches its prime after the lily pads begin to decline. 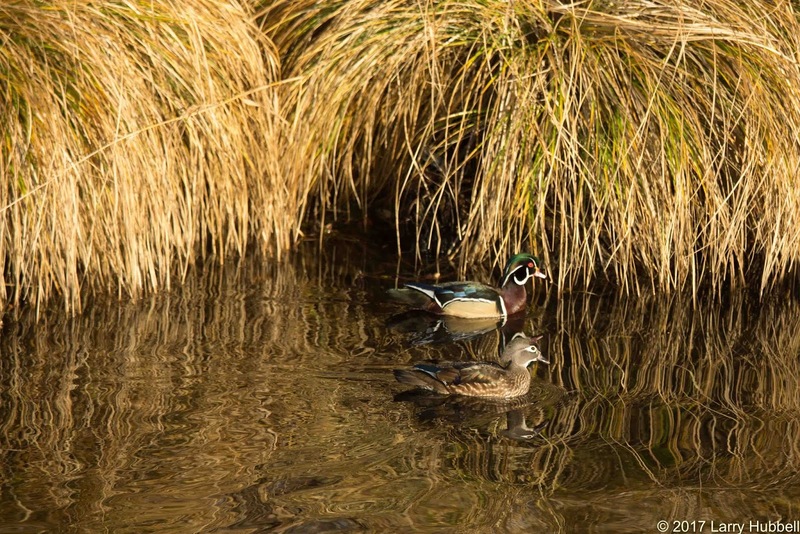 Admittedly, this is hard to see with the focus in the photo being on the ducks. 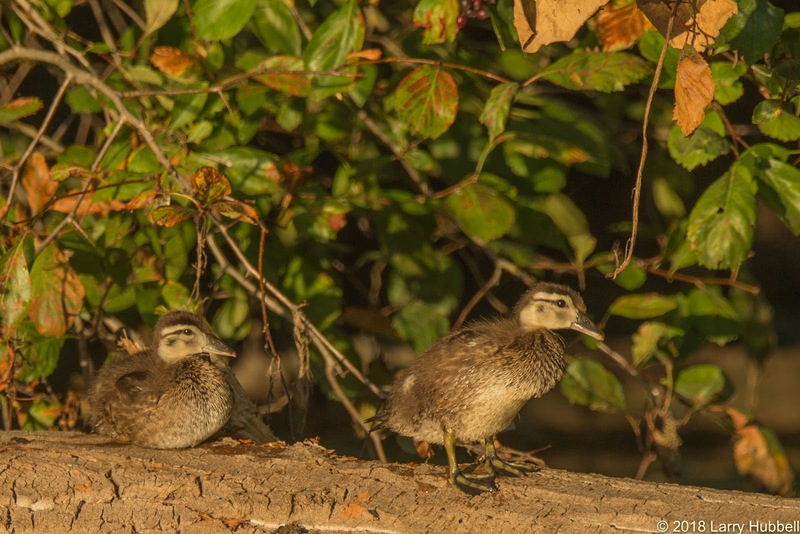 There are no longer any young ducks hanging around the female. This photo contains the least amount of green in the Fall set. So, we can conclude it was taken in November. The total lack of any bright green foliage hints at Winter. 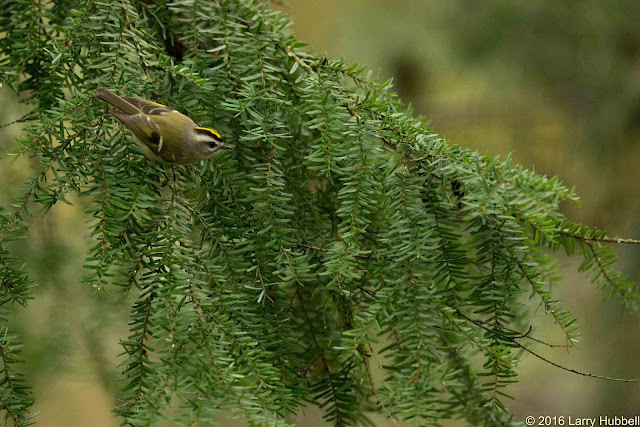 However, there is a slight touch of yellow-green in the foliage, just above the male's head. This, along with the untrodden look of the vegetation indicates early Winter. 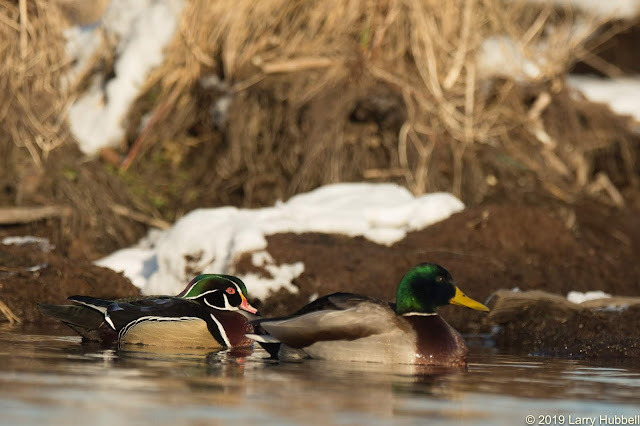 This Winter photo shows a group with more male than female ducks. In spite of the uneven numbering, the gathering looks quite peaceful. Maybe the intensity of breeding season has not yet begun. Along with the total lack of green, these two hints point towards mid-Winter. 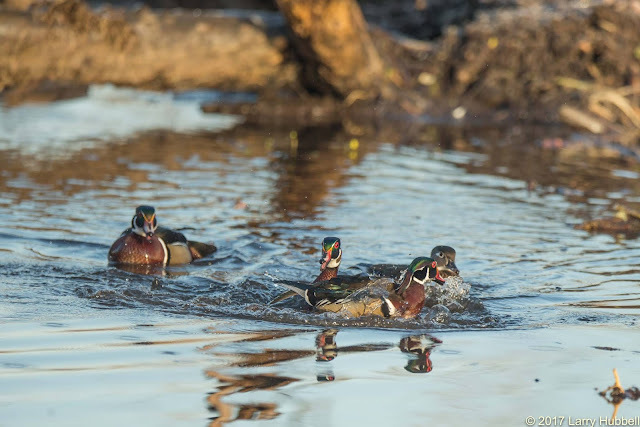 In this, the last photo of Winter, the male Wood Ducks are competing for the female's attention. If I remember correctly, I had the impression she had already selected a mate, but the other males were intent on getting her to reconsider. Breeding season was just about to begin. 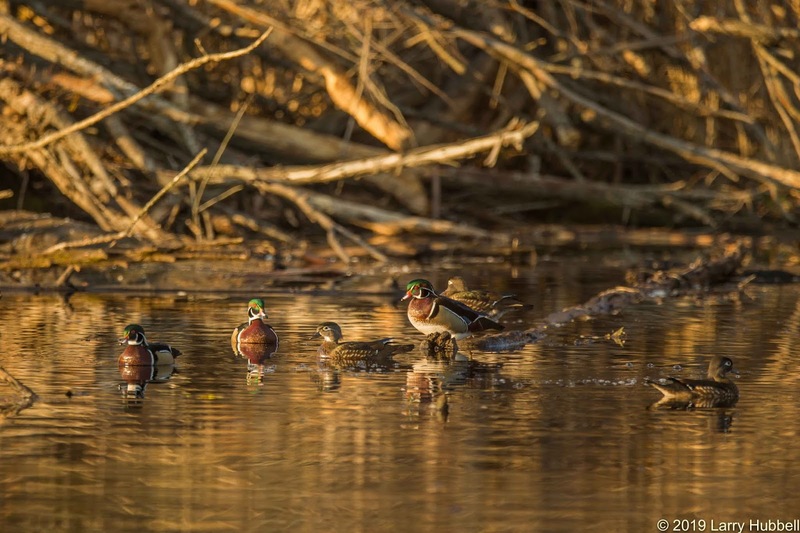 This post is dedicated to Chris Kessler, for his weekly dedication and partnership in watching the Wood Ducks and their boxes during every week of the 2018 season! 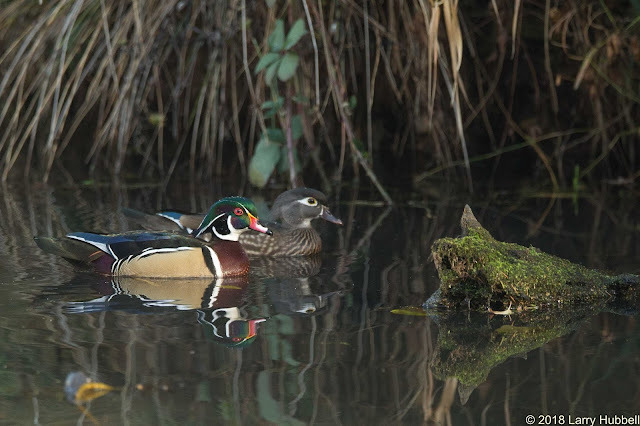 If you are interested in learning more about Wood Ducks and documenting their behavior while devoting a few hours, every week to observing the nesting process around Union Bay, please let me know. My email address is at the bottom of this post. 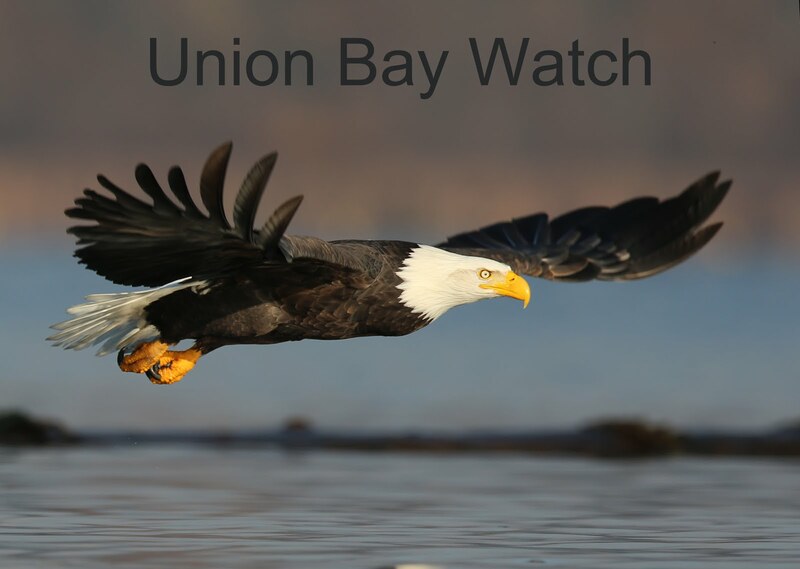 Have a great day on Union Bay...where nature lives in the city! 1) Learn and leave established native flora undisturbed. 3) Scatter seeds from nearby native plants in a similar habitat. 4) If you feel you must add a new plant then select a native plant while considering how the plant fits with the specific habitat and understanding the plant's logical place in the normal succession of native plants. My intention in my weekly post is to include at least one photo each week and visually challenge us to know the difference between native and non-native lifeforms. 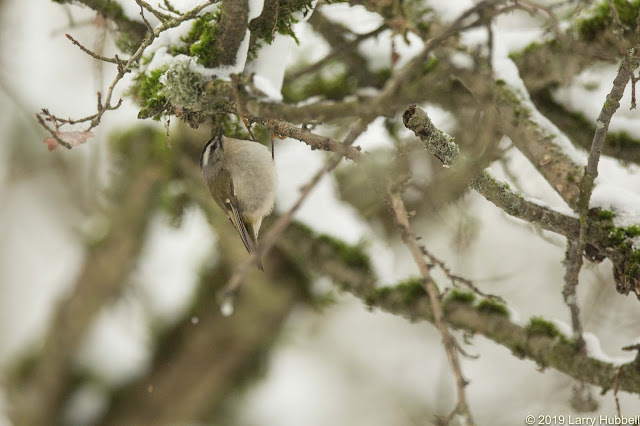 In this December photo, we see Monty in the background selecting a branch to add to their new nest. The branch is from what type of tree? Note: All the foliage in this photo is from the same kind of tree. The shape of the leaves is a critical hint. Is the tree native to Union Bay? Black Cottonwood: Yes, it is native to Union Bay. Click Here to read about a half a dozen different creatures which utilize this tree. Also, 99.9% of the branches, which I have seen, our local eagle use in nest building have come from Cottonwoods. Plus, two out the three Union Bay eagle's nests are located in Cottonwoods. 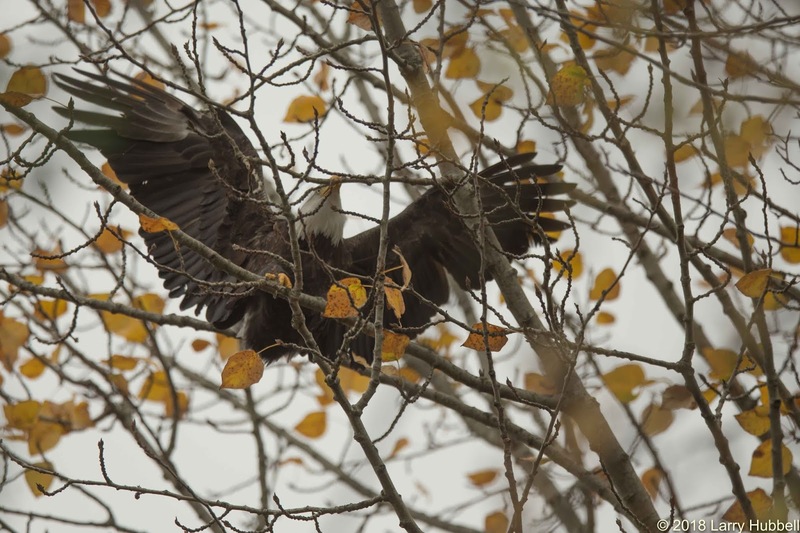 In addition, all three pairs of local Bald Eagles have one or more favorite hunting perches in a Cottonwood Tree. My functional workaround is to set up my own email list and each week I manually send out a new post announcement. If you are experiencing the issue and would like to be added to my personal email list please send me an email requesting to be added. Thank you for your patience! Because of our unusually abundant snow, people have been asking questions like, How are the birds doing? Are the eagles O.K.? Does the snow in their nest cause a problem? I suspect our biggest concern should probably be for smaller birds. Little bodies have more surface area per ounce and so they lose heat more rapidly. Hummingbirds may have the greatest challenge. Not only do their winter flowers get covered with snow but liquid feeders freeze. My friend, Elaine sent in a creative idea. She attached an aluminum can with a candle under her hummingbird feeder to keep the life-giving liquid flowing. 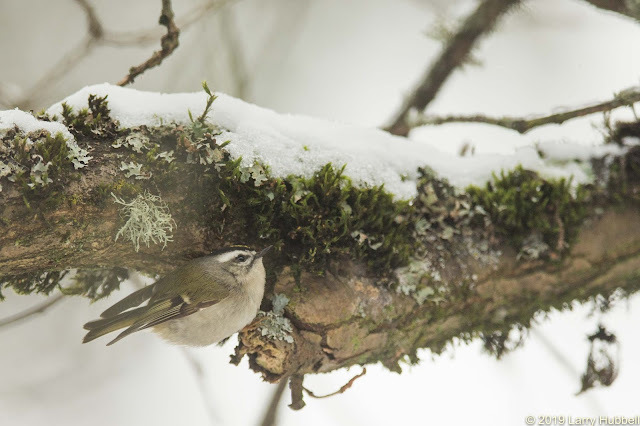 These questions caused me to wonder which of our local bird species would I select as the one best able to handle an extended cold spell. Eagles are especially hardy. 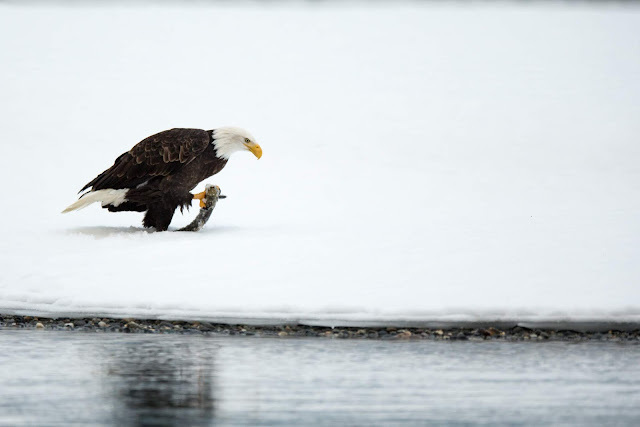 In Alaska, I watched Bald Eagles pull salmon on to the snow-covered shore of the icy Chilkat River. They seemed to totally ignore the cold. They would be a logical choice for our local All-Weather title. 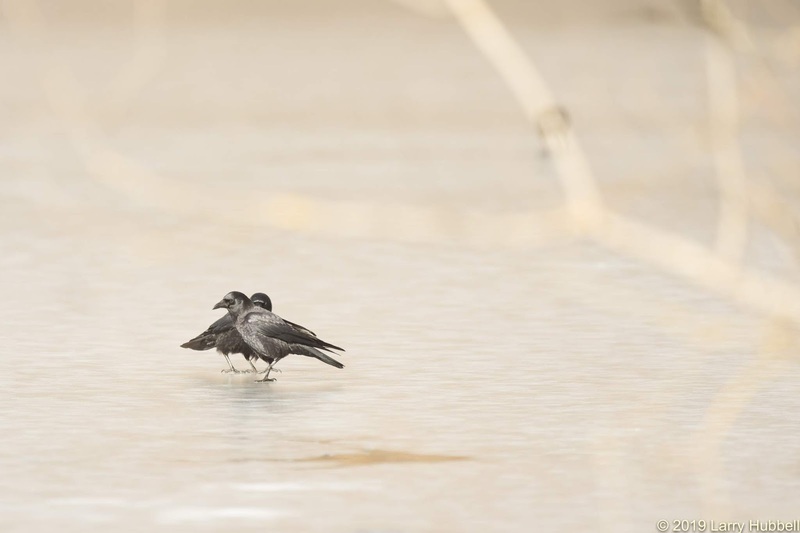 Early this week, American Crows looked perfectly at home on the ice, which covered the main pond at the Union Bay Natural Area. They too could easily qualify as an avian All-Weather species. 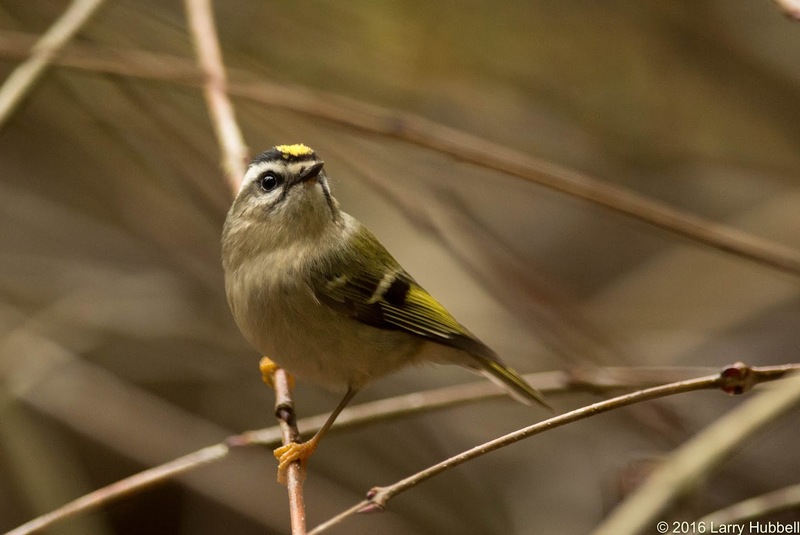 A Golden-crowned Kinglet is a very small, delicate-looking little bird. Unlike an eagle, it does not have feathers to keep its legs warm. A hundred Kinglets, at less than half an ounce each, would not come close to the weight of a single eagle. I suspect, their speed of heat loss must be orders of magnitude faster than a Bald Eagle. 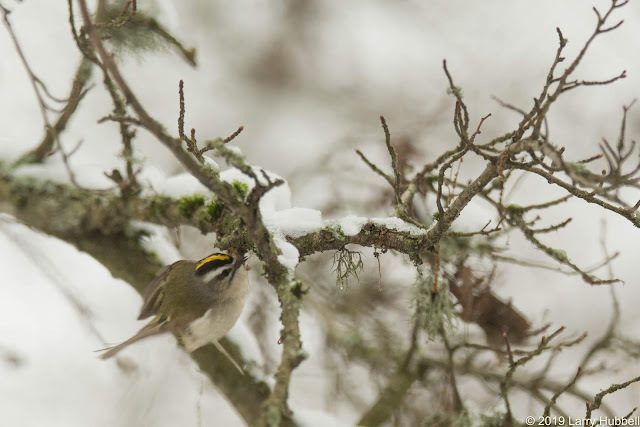 Surprisingly, Golden-crowned Kinglets still get my vote for our local All-Weather species. In 1847, Carl Bergmann proposed that many species tend to have larger individuals in colder climates. I believe this rule holds true for Bald Eagles, Bears and many other creatures in North America, however, it is not universally true. A male Golden-crowned Kinglet defending its territory. 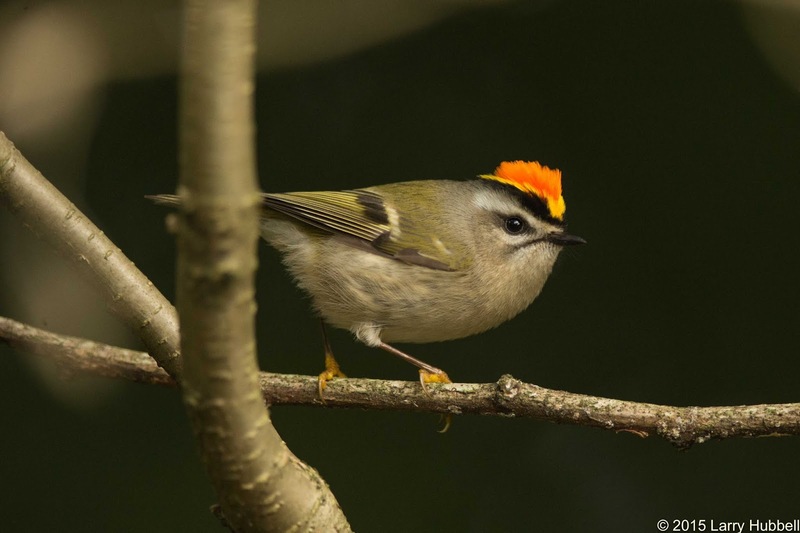 Females do not have this vibrant orange in their crowns. The males only display this 'shocking' color when excited. A male, in his most aggressive stance, is not particularly intimidating - unless you happen to be in his weight class. 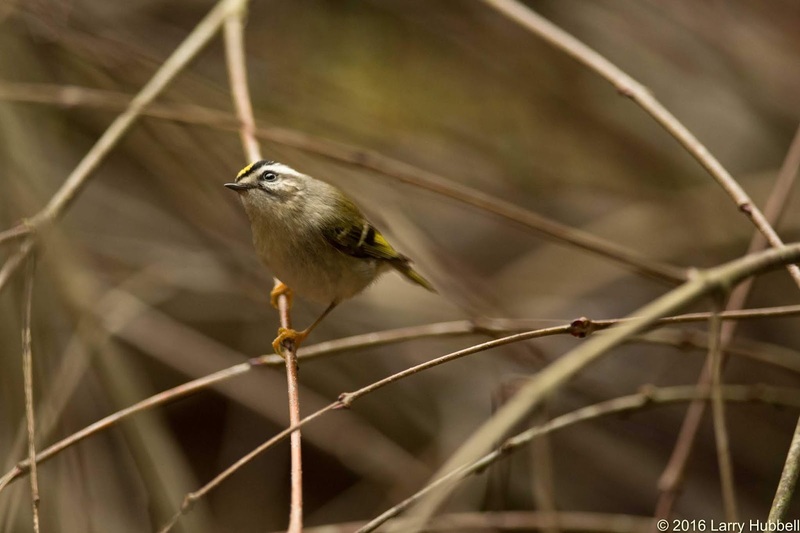 Still, one can feel a certain ferociousness when a Kinglet looks you in the eye. I wonder if this attitude translates into an abnormally strong will to survive. Generally, I see Kinglets looking for sustenance while darting, dashing and hovering among small branches in trees or bushes. 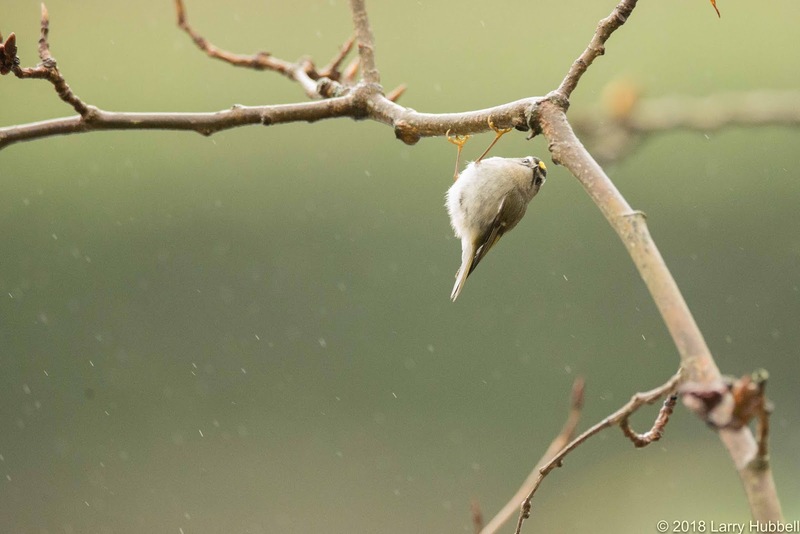 However, the size of the branch is not critical, it is their nearly constant need for food which drives their choices. 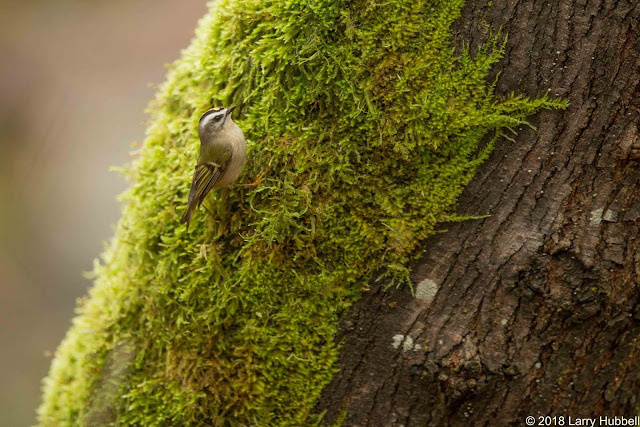 This may be my only photo of a Golden-crowned Kinglet searching for food on a sizable tree trunk. The crevices, lichen, and moss do provide great hiding spots for tiny ants, spiders, and grubs. 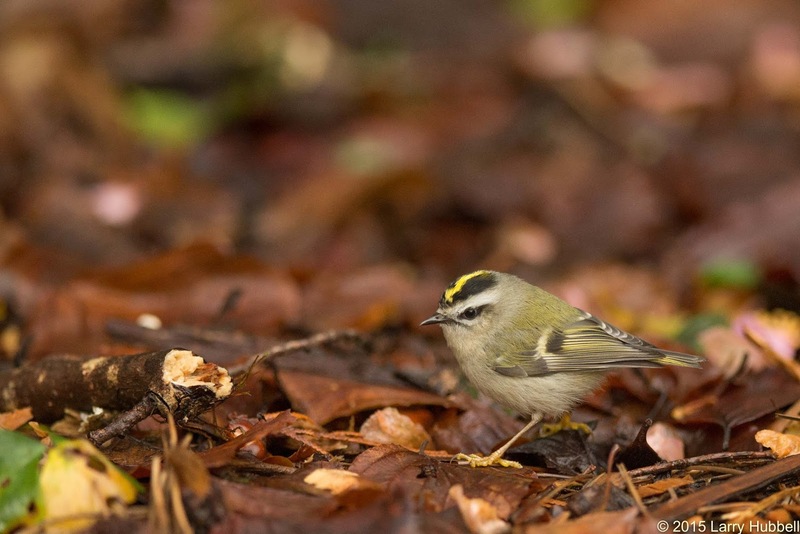 From the All-Weather perspective, Kinglets will even work in the rain. Their speedy metabolisms keep them moving and motivated. They will also keep working after the rain stops. They cannot afford to waste daylight hours. A few years ago, during especially cold weather, I noticed a Golden-crowned Kinglet reduced to spending time on the ground searching for food. 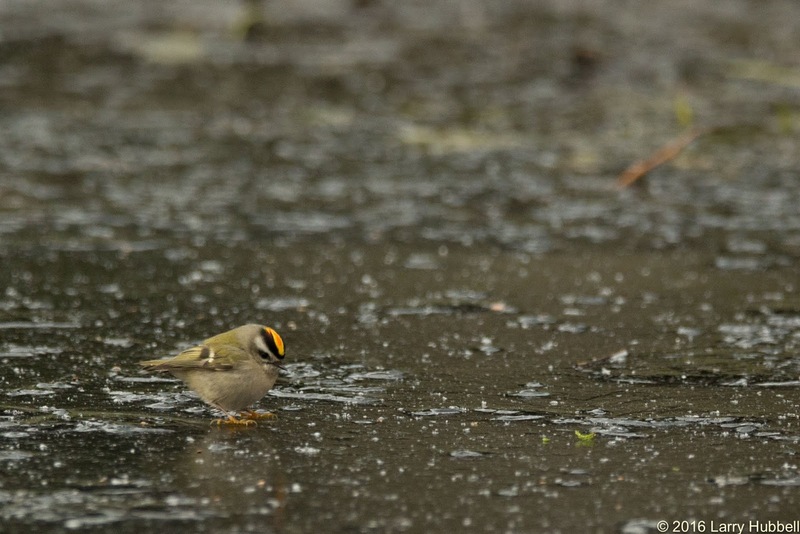 The next winter, I was even more surprised, to see one searching for food on a sheet of solid ice. This week, I was once again astonished by a Golden-crowned Kinglet. 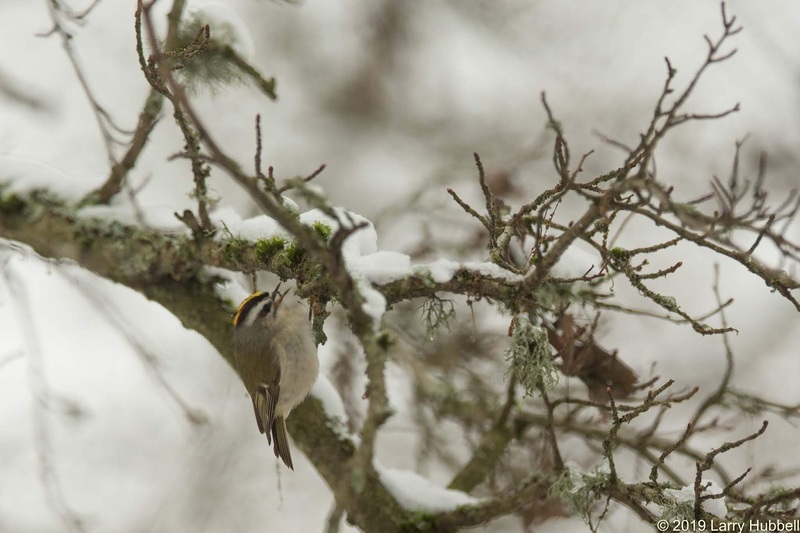 While most trees were silent, and other small birds seemed to have ceased searching for food, this Golden-crowned Kinglet was dashing about in and among snow-covered branches. Although he was moving quickly his efforts were highly focused and productive. 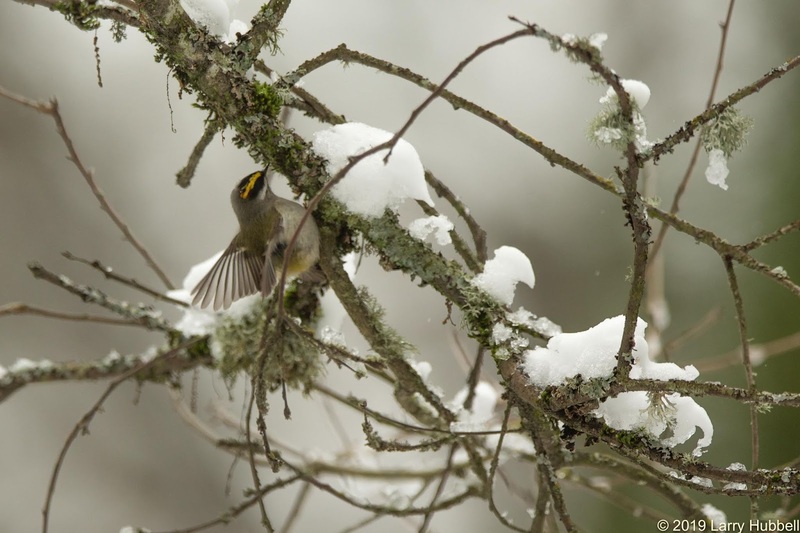 The Kinglet consistently avoided the snow by working the underside of the branches. He would hang upside down whenever possible or hover when he could not find a foothold. Another surprising observation, which I had not noticed in previous encounters, was how he was consistently keeping his chest feathers fluffed-out. Can you see a neck on this bird? Fluffed out feathers are not terribly unusual. 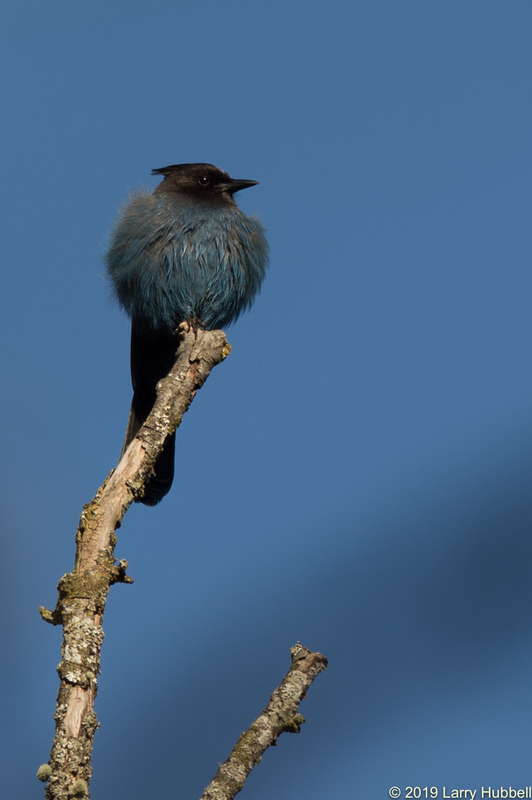 During cold weather other species, like this Steller's Jay, occasionally sit with their feathers extended to retain body heat. What surprised me was seeing the Kinglet in constant motion, while having its feathers extended. 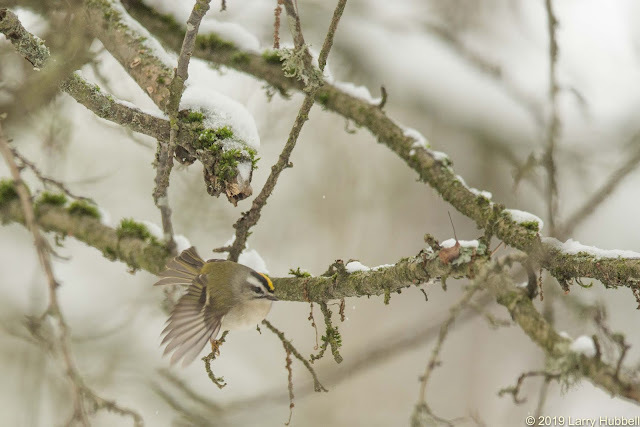 If you compare this series of snow photos with most of the earlier Golden-crowned Kinglet photos, you can see that fluffed out feathers make the little bird's body appear visibly larger. 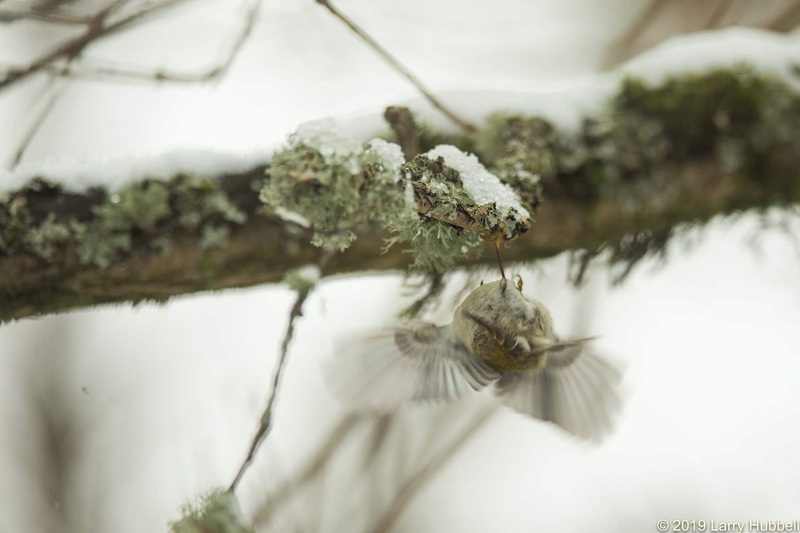 Even while eating, I believe the tiny dot at the tip of his bill is a little morsel of food, the Kinglet keeps its chest and belly feathers extended. In this photo, the bite he was about to swallow looks like it has three distinct sections. Possibly, a tiny little ant. 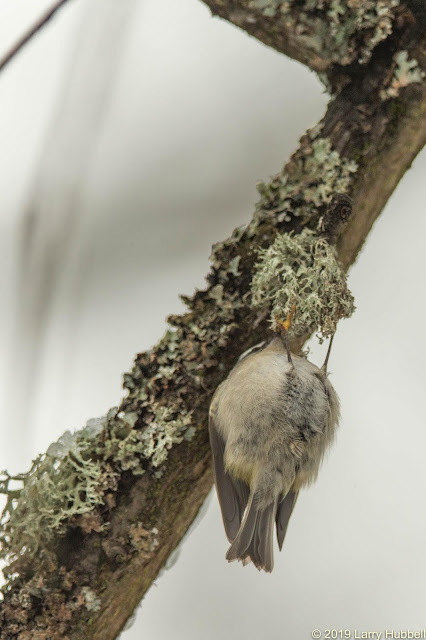 Here is another example of feathers extended, while hanging from a ball of lichen. It does not take long for the lichen to start looking pretty well worked over. The slight hint of orange on his head is what caused me to conclude he was a male. 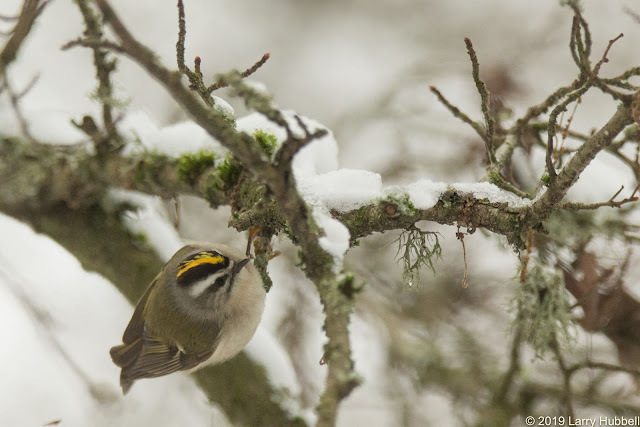 The last, and possibly most significant, reason for selecting Golden-crowned Kinglets as my All-Weather Bird species comes from the All About Birds website. 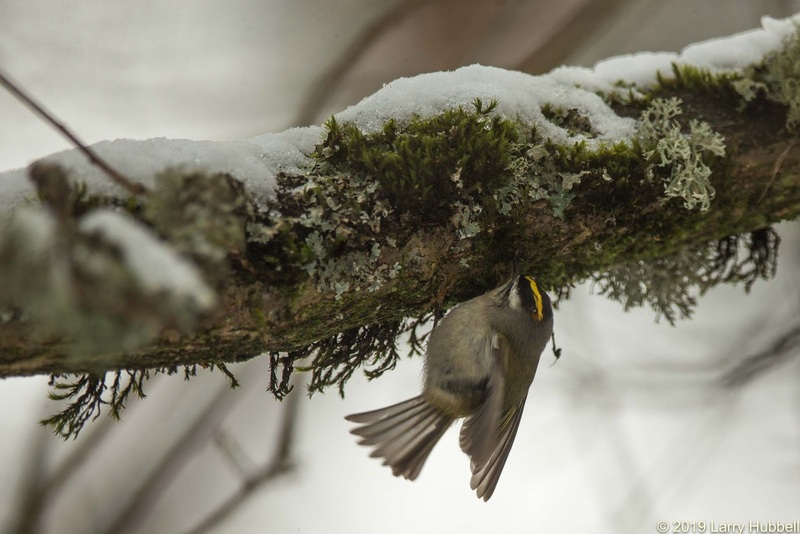 It says, 'The tiny Golden-crowned Kinglet is hardier than it looks, routinely wintering in areas where nighttime temperatures can fall below -40 degrees Fahrenheit.' This is an amazing feat. It is apparently in the range of what penguins in Antarctica endure. Click Here to read about the Guinness World Record. Have a great day on Union Bay...where nature survives in the city! By the way, the snow on Monty and Marsha's new nest did not appear to be a problem. Primarily, Eagles only use the nest in the Spring and Summer. So, the only issue I could imagine was if the weight of the snow caused part of the nest to fall. It did not. Even so, that would have been a good stress test for their new nest. 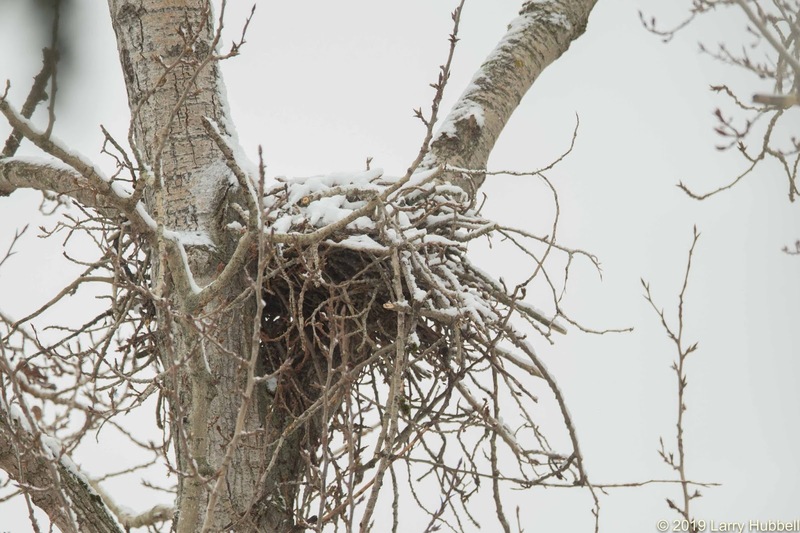 Apparently, at the height of the nest, the wind was blowing fast enough to keep the snow from accumulating much. In the end, I saw only one apparent impact of the snow. It may have temporarily canceled out the eagle's nest-building instinct. 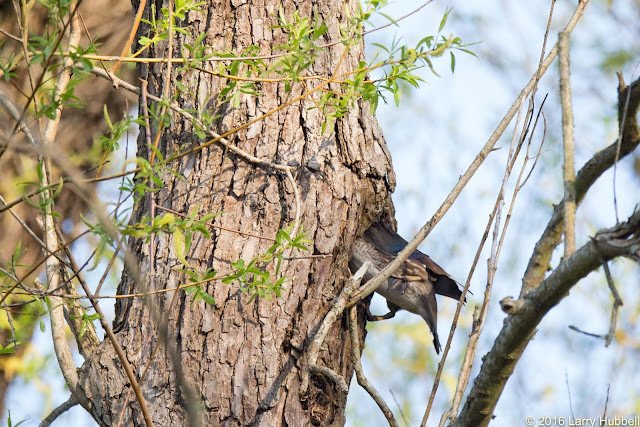 In what species of trees are these bird searching for food? Are these native trees? 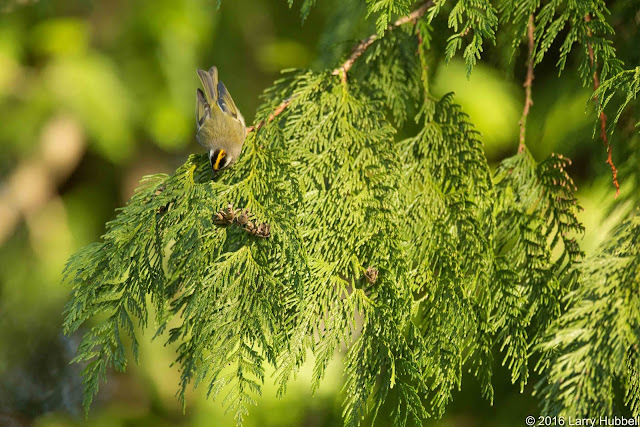 Tree A) is a Western Hemlock, while tree B) is a Western Red-cedar. They are both native to Union Bay and are likely nesting trees for Golden-crowned Kinglets. Although, I have never seen one of their nests. 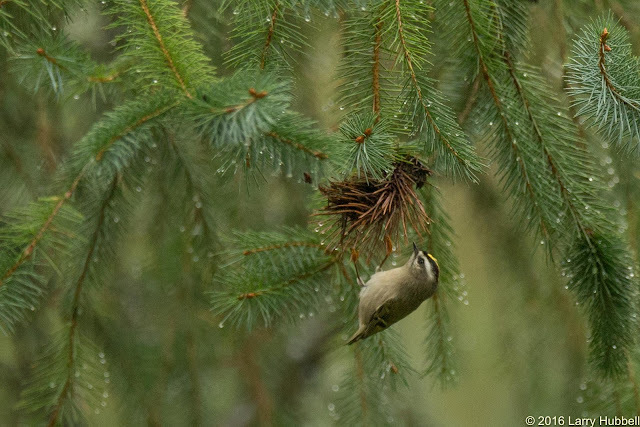 I believe their nests are said to be located next to the trunks of the trees and hidden below the upper-most branches.